Welcome to the ground source heat pumps section of the website. I’ve written several pages to introduce you to the technology and its benefits to you. 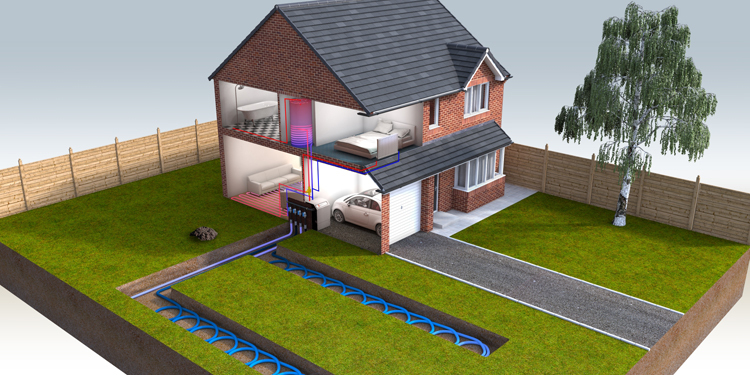 When ground source heat pumps are combined with a solar panel system, you and your family can become self-sufficient in your energy requirements, which is certainly appealing when the news is full of stories of energy bill increases. If you’re interested in a ground source heat pump then please contact us via the Contact Page, phone on 01454 324807 or email contact@greenleafinnovations.co.uk We look forward to talking to you.